A traditional design monobloc kitchen sink mixer updated with a brushed nickel finish. 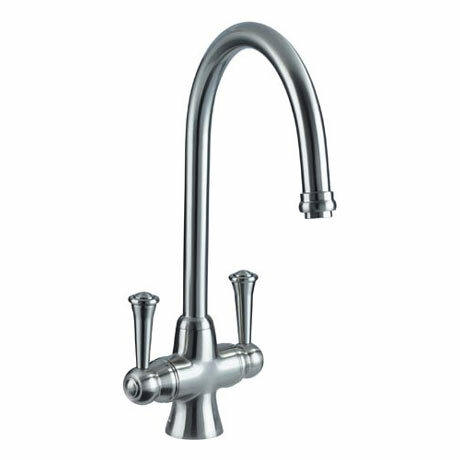 this stunning Sentinel Monobloc Kitchen Sink Mixer will give a timeless look to your kitchen. Constructed with an all brass body with white ceramic indices, they are suitable for all plumbing systems.